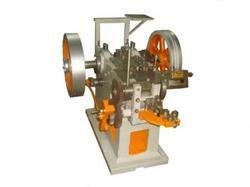 Prominent & Leading Manufacturer from Amritsar, we offer single stroke heading machine. Being one of the trustworthy names of the business, we are involved in manufacturing, supplying and exporting Single Stroke Heading Machine. Precisely designed and developed at our end, the proposed selection is manufactured in adherence to the preset industry guidelines. Offered set of machines is suitable for micro rivets and micro screws. Looking for Single Stroke Heading Machine ?